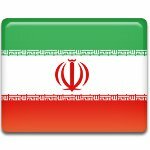 On April 18, Iran celebrates Army Day. This annual holiday commemorates the anniversary of the establishment of the Islamic Republic of Iran Army. The Islamic Republic of Iran Army (IRIA) is one of the service branches of the Iranian Armed Forces, along with the Revolutionary Guards and Law Enforcement Force. The Iranian Army is also known as Artesh, which is the Persian word for “army”. The present-day Iranian army was established in 1923, following the 1921 Persian coup d'etat. After the establishment of the Pahlavi dynasty in 1925, the development of the Imperial Iranian Army became a priority. The ground forces of the Iranian military assumed their current name after the Islamic Revolution that took place in 1979. The regular Iranian Army consists of conscripts, professionals, and reservists. Conscripts serve for 21 months and have professional military training. As of 2007, IRIA was estimated to have 700,000 soldiers: 350,000 active personnel (130,000 professionals and 220,000 conscripts) and 350,000 reservists. National Army Day in the Islamic Republic of Iran is celebrated with military parades that showcase the newest achievements in the country's defense forces.